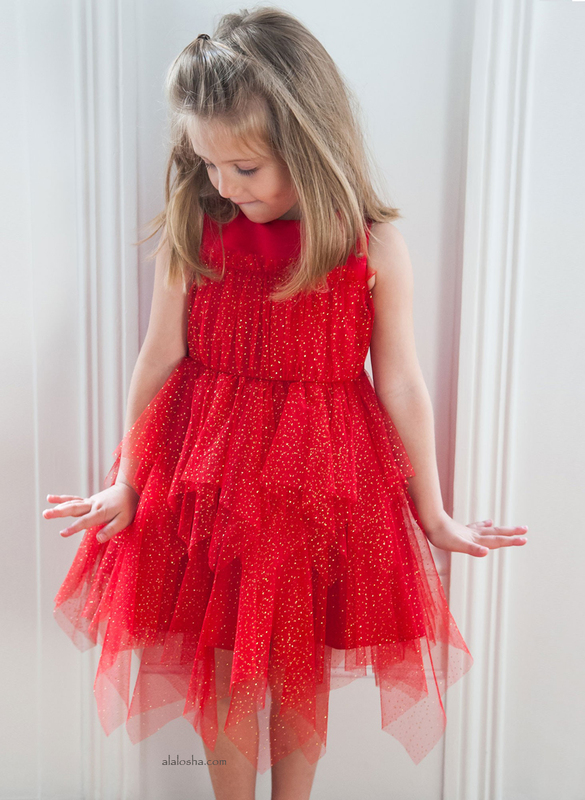 Le Mu’s chic collection consists of stunning dresses featuring rich layers of tulle with exquisite detailing. 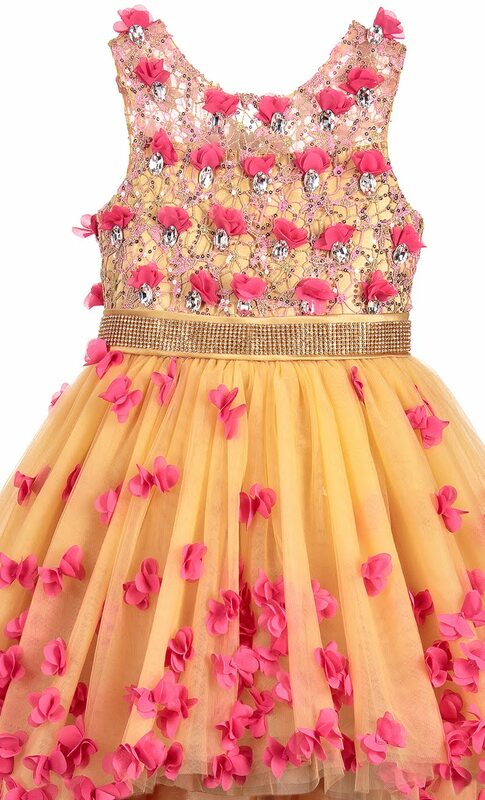 Perfectly pretty in every way, girls will feel like they are in a fairy tale when wearing this ornate Le Mu dress, made in golden satin. The pink lace overlay on the bodice sparkles with sequins, petal appliqués and large crystals that glitter when the little princess moves - just like the diamanté waistband. Strewn with petals, the full tulle skirt is longer at the back than the front and couldn't be better for making a grand entrance. 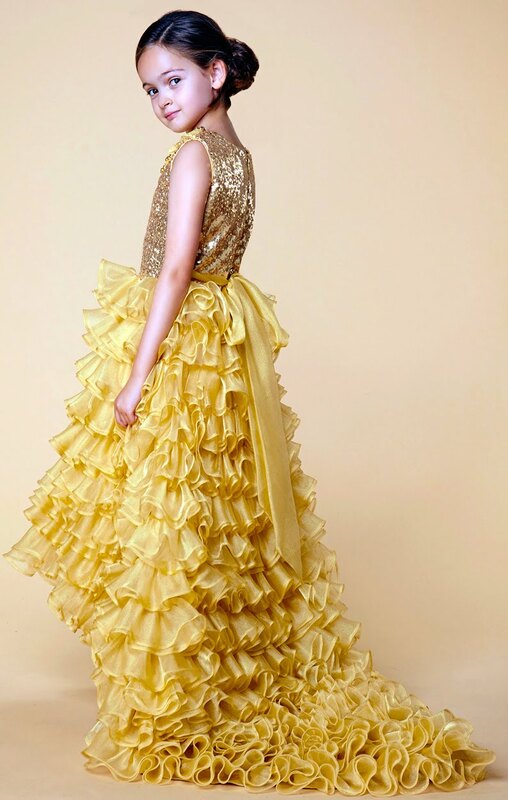 Le Mu have designed this wonderful golden dress that is truly fit for a princess. 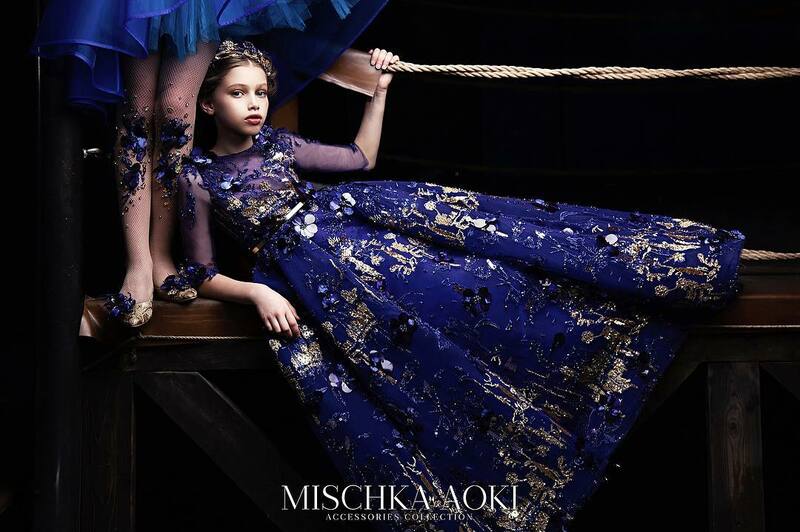 Girls will love the glistening, sequinned bodice with it's elaborate lace collar, all beaded and sparkling with diamantés, and delight at the ruffled skirt which lengthens at the back to form a regal train, perfect for making an entrance in.